To wear a veil or not wear a veil that is the question? This is a question many of my brides think about when ordering their dress. Which is one thing to do, definitely find your dress first. This way it will match and it can also be an addition to your dress. For example a chapel or cathedral veil can be the train to your dress if you don’t want one that’s too long. Veils can also be the back and shoulder covering you are envisioning that may be only for the ceremony. Do you know the origin of the veil? Or at least where they believe it was derived? The Greeks and Romans, wore colour dresses like red to fend off evil spirits and obscured by a veil. Most times the bride-to-be could not see, so the person “giving her away” was actually guiding her down the aisle so that she would not bump into or trip over anything. It has in many cases been used to shield the brides face so that her future husband did not see her until the ceremony, especially in arranged marriages. Some say that it could have been a yellow egg yolk colour, apparently yellow was the earliest colour to be highly esteemed and was granted as an exclusive privilege to women for their bridal veils. They then evolved into religious traditions seen as a symbol of respect for women to cover their heads. When white dresses were worn to symbolize chastity, the veil then followed suit. Now veils are mainly to suit a brides style, and personality. From Birdcage to cathedral each pair with the brides dress and wedding perfectly. That’s where I come in! Like previously stated, find your dress first. Then try all your accessories, veils, head pieces, belts, what ever your heart desires. Did you choose a ball gown? SO you decided to channel your inner princess with full skirt, classic. A fingertip veil will create a even more romantic look, and blend perfectly with any tulle skirt. Which will give the illusion of a longer veil and perfect if you have lovely detailing on the skirt you want to show off. However, if your gown does not have a tulle skirt a chapel veil may be the way to go if you’d like to add more of a dramatic flair to your look. 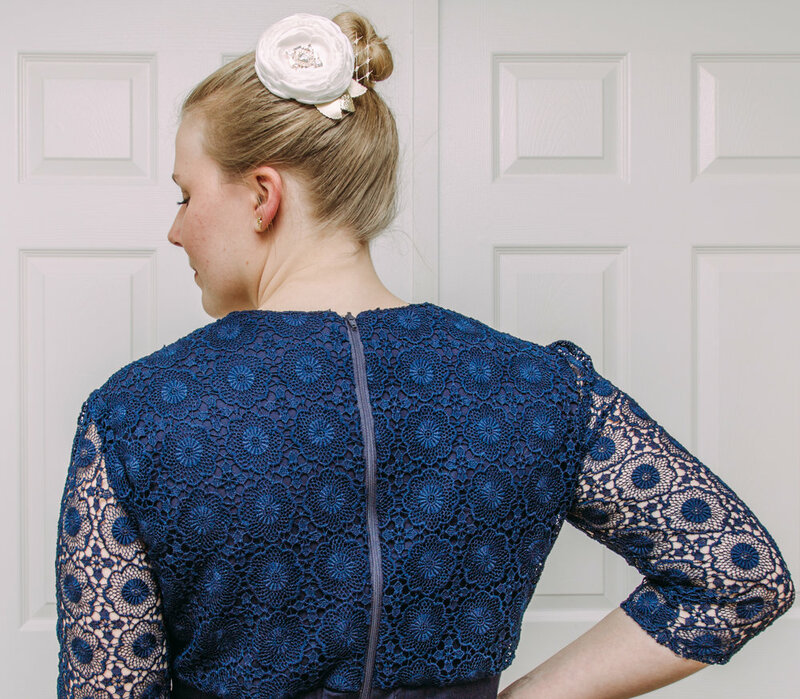 Does the back of your dress - the bodice - have more embellishments or is more revealing? A shoulder veil may be the way to go so you can allow these details to shine as you desire. The versatile A-line silhouette is perfect for many different veil styles. Really think about the details you want to show off here, considering the back view of your gown and what you’d like everyone to see. Does your dress have lovely beading, appliqués or intricate designs? An mantilla veil or elbow veil may be one for you to choose with a thin layer of tulle. Although, if you’d prefer to wow your guests, definitely go royal — you deserve it! 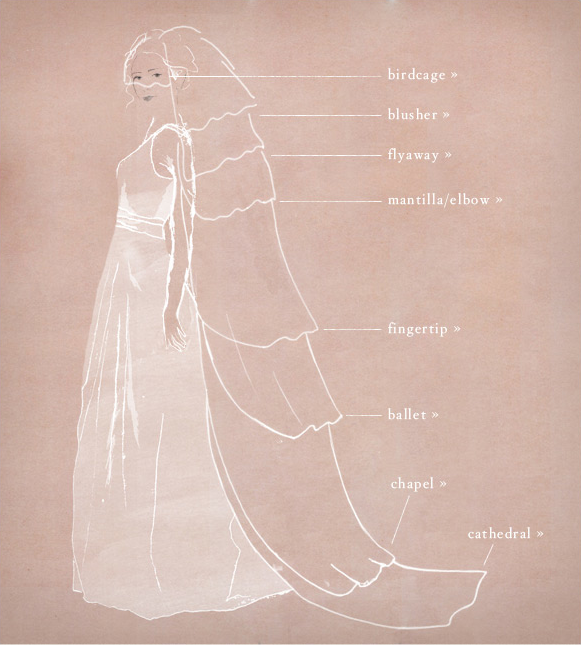 — with the chapel veil, cathedral veil or even a regal veil. 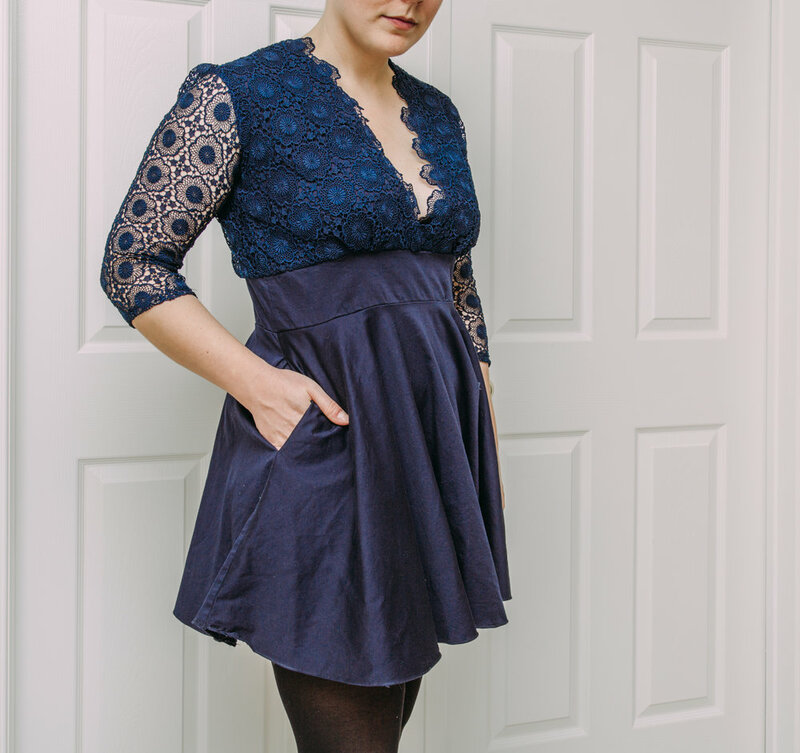 What about a fit and flare? 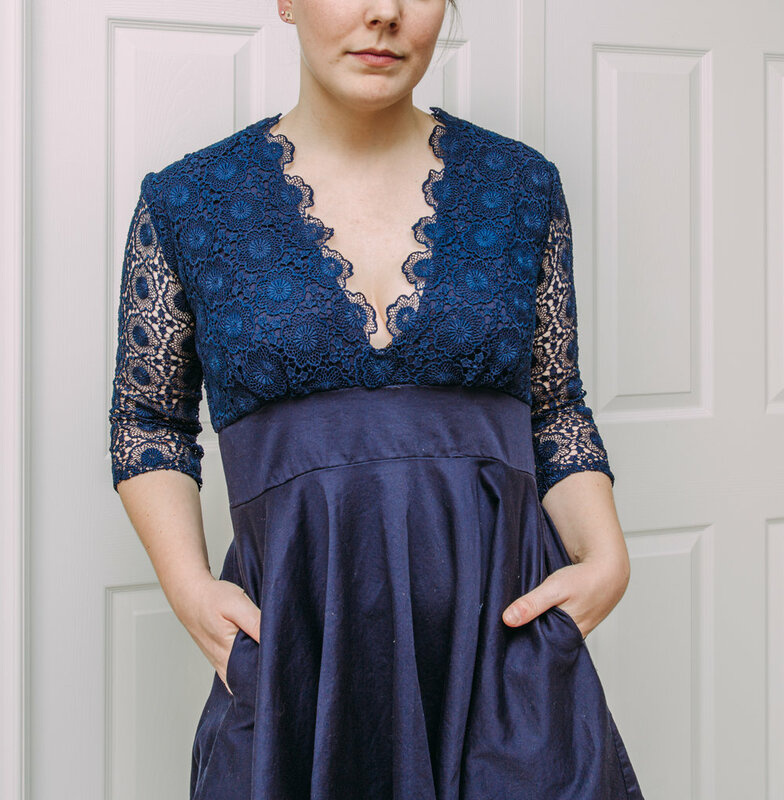 The trumpet dress is in between the A-line and mermaid when it comes to the flare of the skirt, which means it is fitted close to the body until mid-thigh and then jets out. Going with a fingertip veil would coordinate wonderfully with the skirt of the gown because it would fall right around where it flares out. On the other hand a flyaway veil or birdcage veil would show off your playful side adding a fun element to your attire. As a kid I loved the little mermaid.. I mean I still do who are we kidding lol. The mermaid gown always makes me think of the magic of being a mermaid. How she became a girl to find love and how romantic it was for them… eventually they were wonderfully in love. I think the same magic can be added with a ballet veil or knee length veil, lets just say it would make your gown cohesive and your prince in awe. AND hey go regal or go home, this dress also allows for a longer veil like a thin chapel veil or cathedral veil. What the sheath? With the bohemian theme that has made quite the impact in the wedding industry, these simple dresses make it easy to add any style of veil and it will look stunning. Just decide how much you’d like to show off and base your decision on this. A thicker or more heavily embellished veil will add the volume to your bridal look that you may be looking for as well. Oh the tea length dress, I have received many orders for this one in a 1950’s theme and omg I love them! Perfectly paired with a birdcage veil which is so stylish and available with a variety of appliques and embellishments. Or your can go the Elizabeth Taylor way and have a two layered “high-low” option in the chapel veil, elbow veil or fingertip veil for your classic look! I hope this has inspired you to find exactly what you’re looking for, for your special day, don’t forget it is YOUR day!